An accessible introduction to an increasingly important concept in political science, this book provides a clear overview of how the concept of governance has been used in the sub-fields of public administration and public policy, international relations, European studies and comparative politics. Anne Mette Kjaer is Assistant Professor in the Department of Political Science at the University of Aarhus, Denmark. Governance is an easy-to read introduction to an increasingly important concept in political science. It provides a clear overview of how the concept has been used in the sub-fields of public administration and public policy, international relations, European studies and comparative politics.There is no universally accepted and agreed definition of 'governance'. It remains an elusive theory, defined and conceptualized in various ways. 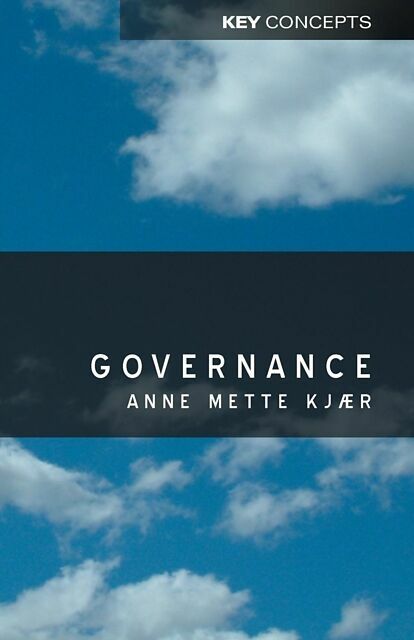 In this book, Anne Mette Kjaer guides the reader through the key theoretical debates which have given rise to distinct interpretations of governance. Drawing on a wide range of empirical examples to illustrate her arguments, the author explores how governance has been used in different ways to describe political changes in the modern world. 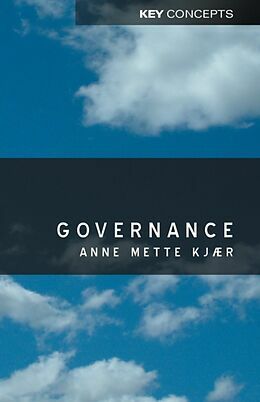 She goes on to weigh up the pros and cons of governance as an analytical term, and concludes with a discussion of the World Bank's role as an international organization which aims to promote 'good governance' in poor countries across the globe.This is the first textbook to offer a systematic assessment of current debates around the concept of governance. It will be a valuable resource for undergraduate and postgraduate students of politics, international relations and public policy. Governance is an easy--to read introduction to an increasingly important concept in political science. It provides a clear overview of how the concept has been used in the sub--fields of public administration and public policy, international relations, European studies and comparative politics. Chapter 1: Introduction: the meanings of governance.Chapter 2: Governance in public administration and Public Policy: Steering inter-organizational networks.Chapter 3: Governance in international relations: governing in a global era.Chapter 4: European governance: Between international relations and public policy.Chapter 5. Governance in comparative politics 1: the state and economic development.Chapter 6: Governance in comparative politics 2: theories of democratization.Chapter 7: Governance and the World Bank.Chapter 8: Conclusion.References.